> Gorgeous Gold Mr & Mrs bunting to hang > Bunting measures: 2m in length and 22cm (H). 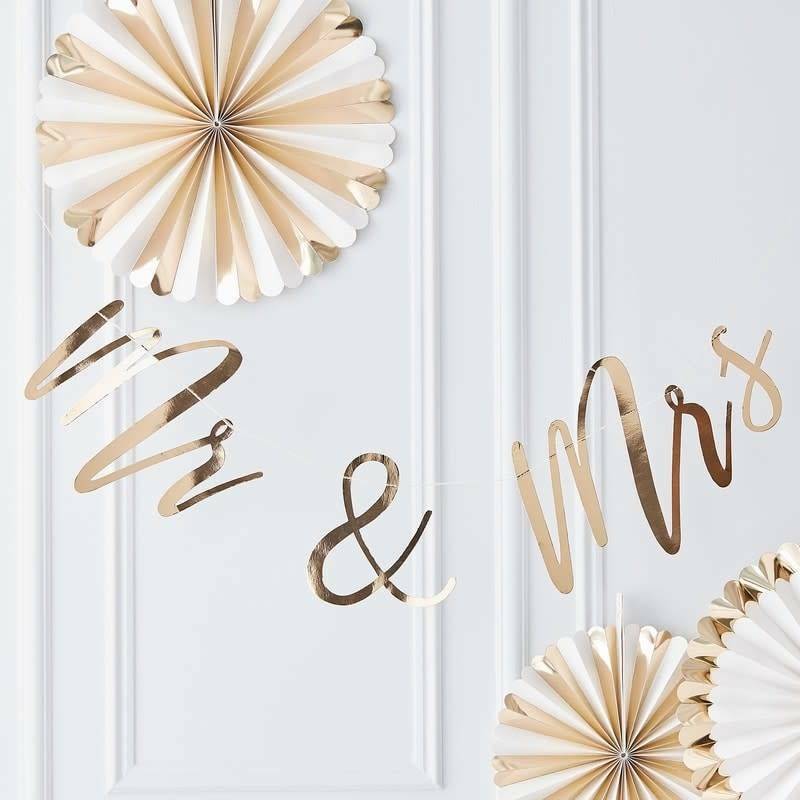 This gorgeous gold Mr & Mrs bunting is the perfect decoration for your wedding day! The stunning font will look beautiful at all wedding venues and sure to be loved be all. A must have bunting to make a statement at any wedding. 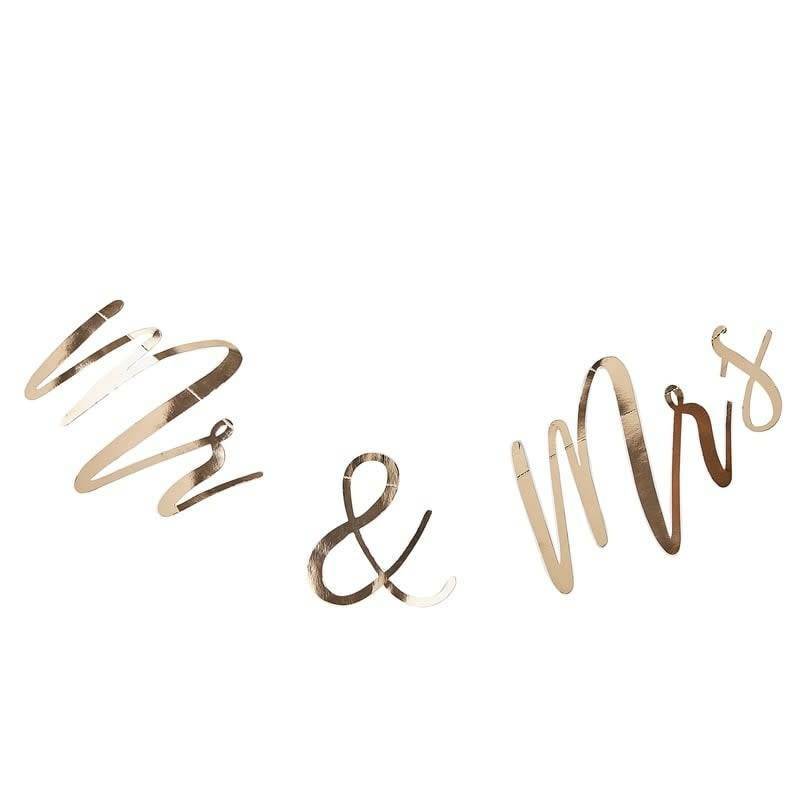 Why not add other decorations from our gold wedding range to create the perfect wedding set up, other item include table numbers, cake toppers. Bunting measures: 2m in length and 22cm (H).